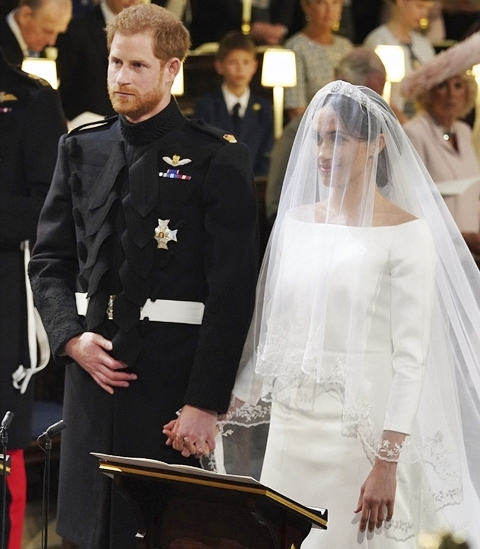 Meghan Markle has married Prince Harry in a moving service that saw the newlyweds sharing tears and laughter, Dailmail UK reports. Harry was visibly emotional when he saw his bride for the first time in her simple but beautiful pure white dress and then grabbed his bride’s hand and told her: ‘You look amazing – I missed you’. 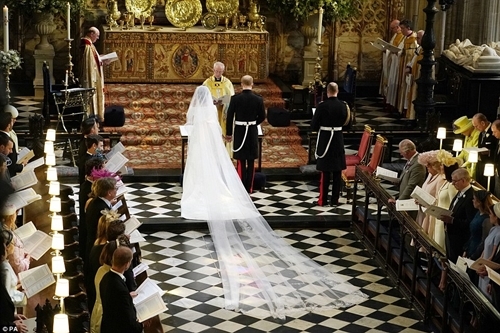 He also said ‘thank you, pa’ after his father Prince Charles walked her down the aisle of St George’s Chapel, Windsor. But the tears turned to laughter when the star made him giggle as they exchanged vows before being pronounced man and wife by the Archbishop of Canterbury Justin Welby in an extraordinarily moving ceremony watched by millions around the world. Celebrity royalty including the Clooneys, the Beckhams, Idris Elba, Elton John and Oprah Winfrey are among some of the world’s biggest stars watching them marry. Britain’s royals including the Queen and Prince Philip were also there to support them. 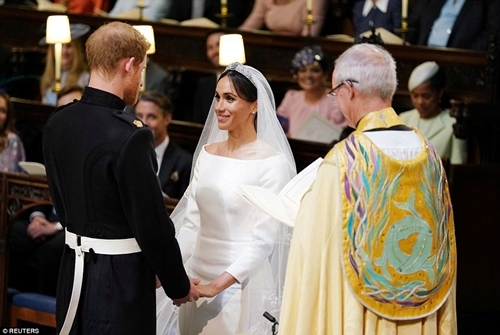 The service had a distinctly American feel with a US bishop delivering a passionate address that appeared to make some of British royals snigger and a gospel choir filling the chapel with music. Outside St George’s Chapel up to 100,000 fevered well-wishers have gathered in glorious British sunshine to cheer the couple as they start their new married life.